Our custom-designed PLA Part Cooling Fan Assembly helps reduce warping and sagging during PLA prints – Made to fit E3D V6 Hotend Assembly. PLA printing is always a little bit trickier than ABS, and often requires extra cooling to help it solidify quickly. 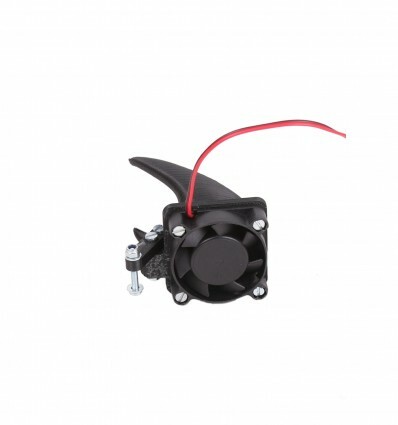 This is what urged us to design our custom PLA Part Cooling Fan Assembly, which is made to fit the E3D V6 Hotend Assembly and blow directly onto the printed plastic as it is extruded. This not only makes the entire print quicker, but also greatly reduces any of the sagging or warping that hot PLA plastic is widely known to do. Our PLA Part Cooling Fan Assembly utilises a tiny fan with a clever duct to comfortably fit around the hotend without getting in the way, and plugs into the D9(heat2) pins on the RAMPS 1.4 Arduino Shield. This ensures very little hassle or fuss during installation, and allows even the most novice of 3D Makers to upgrade their 3D Printers with ease. 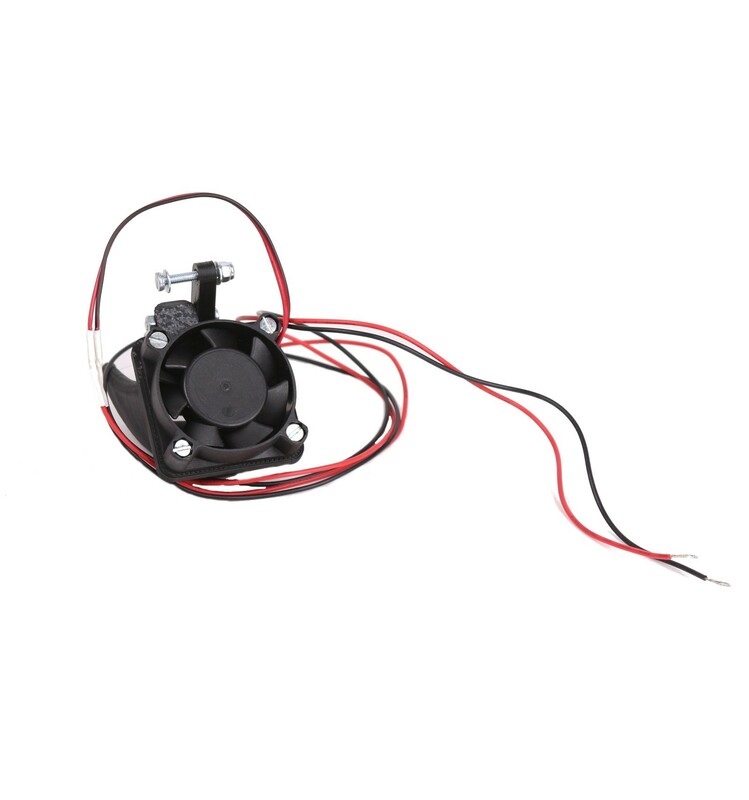 As a final note, the tiny fan that’s used is not large enough to cause any temperature disturbances within an enclosure. This is to ensure that temperatures within an enclosure can still be maintained, while the wind-chill effect provides cooling for the extruded plastics alone. 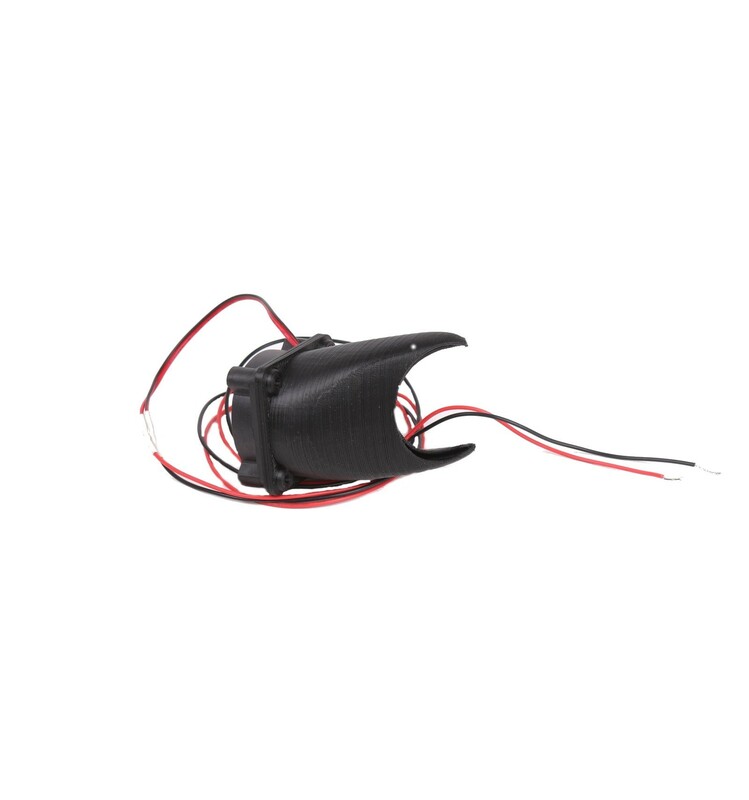 While the PLA Part Cooling Fan Assembly is designed specifically to fit the E3D V6 Hotend Assembly, it can be modified easily to fit other extruders, since the simple plastic design can be cut to fit or extended with your own printed pieces. The PLA cooling fan needs to plug into the D9 port (between the D8 Heated Bed and D10 Extruder connections) on your Ramps 1.4 controller board shield. This port is controllable through your Slicer settings. The other fans (Electronics and Hotend) cooling fans are on a constant 12V line, only the PLA cooling fan needs to be controllable and in this D9 port.